Scenic Enrich. Comprised of experiences that are exclusive and special once-in-a-lifetime events, Scenic says. Scenic FreeChoice. New Scenic FreeChoice inclusions in key destinations on every cruise at no extra cost. I’ll discover what those are and report here. Scenic Tailormade. Scenic’s new and independent free choice tour is enhanced by GPS-activated directions and commentary. Scenic Cycling. Complimentary electrical-assisted bicycles are available that include special mounts to hold the Scenic Tailormade GPS-guided tour system device. Scenic Jasper is the third generation Scenic “Space-Ship.” It differs from the rest of Scenic’s river ships in Europe by featuring a slew of new amenities and stateroom configurations. 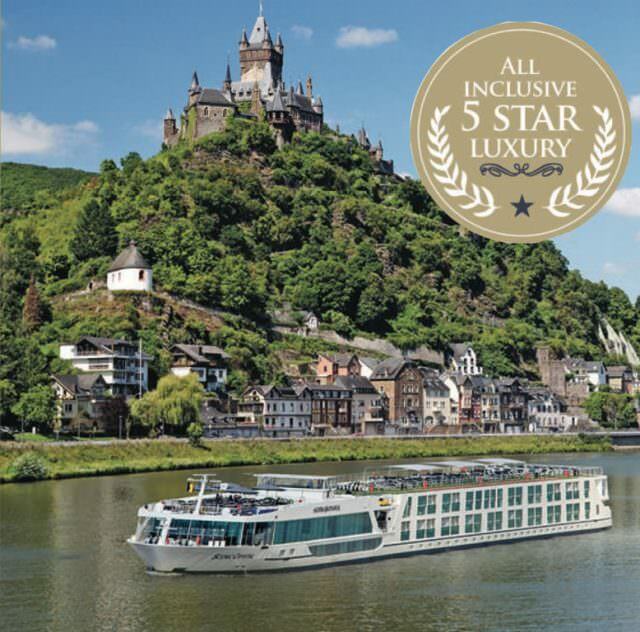 I’ll be on board to assess the features that Joe Maloney talked about in our audio podcast last month: Scenic Cruises, The Most Inclusive River Cruise Company? An Interview With Joe Maloney. Maloney is Scenic’s vice president of sales and marketing for the U.S. (Scenic is an Australian company). I’m boarding today at around 5 p.m. Budapest time. Look for my daily reports here on River Cruise Advisor. Hi Ralph, love your blog, my husband and I are flying from Australia to join the Jasper’s new sister ship Scenic Opal on July 22. We have booked a Junior suite 203 on the Sapphire Deck. I am looking foreading your blog each day. Thank you for the daily updates and great photos. Wonderful Chris and Ken. You will love it. Hard to imagine a river cruise getting much better than what Scenic offers.